Home » Road Rules » Sleep Regulations for Truckers: A Dream or A Nightmare? Catching up on your z’s is essential if you want to lead a healthy and productive lifestyle. But as many of you know, getting enough sleep is not an easy task for truck drivers. Many companies have begun to closely monitor the sleep schedules of their drivers to ensure they are getting an adequate amount of rest. Continue reading to get the scoop on sleep regulations for truckers. Many people believe that fatigued drivers are just as dangerous as drunk drivers. But is that a realistic comparison? 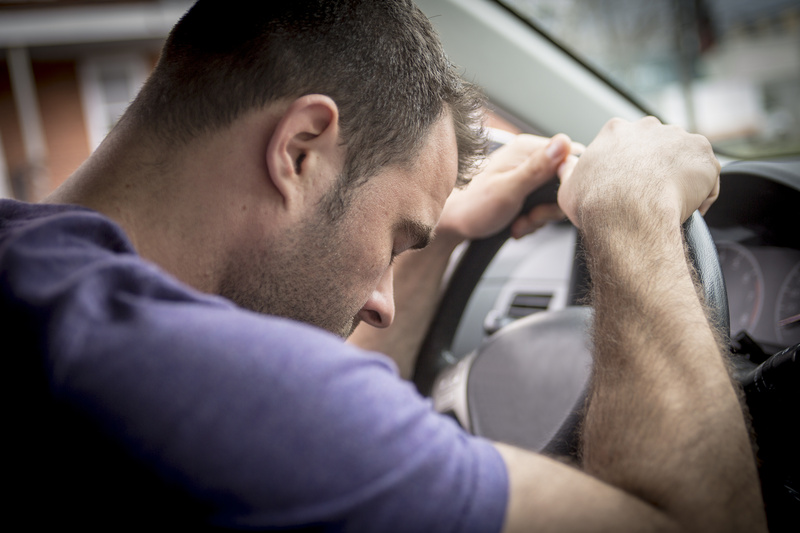 We did some research and found out that driving while tired is just as hazardous as driving drunk–if not worse! According to a AAA Foundation for Traffic Safety survey, driving while drowsy is very similar to driving while under the influence of alcohol. In fact, AAA found that 1 out of 6 fatal vehicle crashes occurred because of sleep-deprived drivers. That’s 17% of all fatal accidents! An episode of the popular Discovery Channel show Mythbusters also validated this theory by conducting one of their own experiments. They asked one participant to drink several shots of alcohol and the other stay awake for 30 hours. The hosts then compared the driving abilities of the two people in a contained environment. In the end, the tired driver ended up driving 10 times worse than the inebriated driver! We all know that there’s no law against tired driving. But do stricter sleep regulations for truckers actually help to prevent sleep-related accidents? Some of these regulations actually experienced pushback because of their potential consequences for truck drivers. However, the risks of operating a vehicle while exhausted continue outweigh these concerns. Despite these anxieties, a study from Washington State University confirmed that the regulations have positively affected driver alertness. Many truck drivers say they feel less fatigued and more focused since the new rules were put into practice. Additionally, the Department of Transportation feels that the regulations could actually benefit the economy instead of not hurt it. They found that large vehicle accidents cost about $20 billion because of medical costs, damage to infrastructure, and negative factors. Fewer drivers also mean fewer payouts for driver mortality, which could potentially save hundreds of millions of dollars. But no laws are perfect. Do you remember the incident involving a sleep-deprived truck driver and comedian Tracy Morgan back in 2014? The fatigued driver struck Morgan’s vehicle, causing several injuries and one passenger’s death. This incident brought national attention to the issue of sleep regulations for truck drivers, a problem that had been largely ignored by the public. And as many of you know, it’s a debate that still rages on today. Regardless of your stance on the issue, I think we all can agree that adequate rest is important when it comes to driving. It keeps you and everyone else on the road a lot safer. This being said, we need to make sure that these regulations do not infringe on the prosperity of truck drivers. What are your thoughts on sleep regulations for truck drivers? Do you think they are too strict? Let us know in the comment section below!